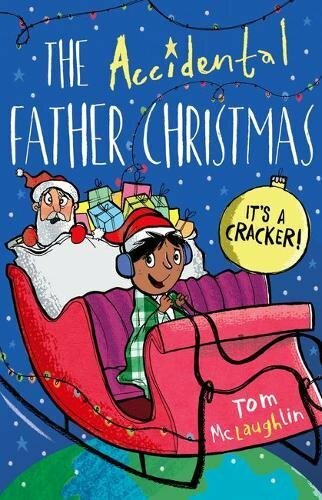 Tom McLaughlin is an author illustrator from Devon. After graduating from Falmouth College of Art he worked from 10 years as a political cartoonist. He started in the world of children’s publishing by illustrating other people’s books before turning his hand to writing. He has written and illustrated for Bloomsbury, Puffin, Scholastic, OUP, Walker to name but a few. His books has been nominated for countless awards and have been translated into over 10 different languages. 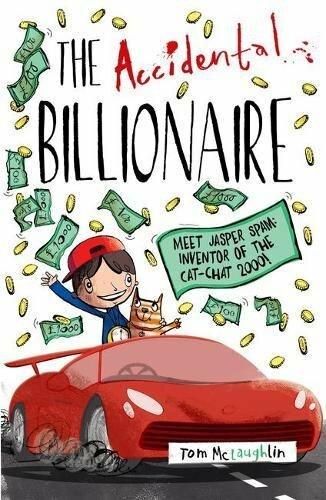 You have made a name for yourself for writing and illustrating truly laugh-out-loud books for children. What’s your secret? How do you keep the jokes fresh and sustain the humour? And what makes you laugh? The great thing about what I do is there is no secret. Funny is funny. Whether you’re writing for kids or adults, the same rules of comedy apply. I think the worst thing you can do as a writer is try and write comedy for kids—just write funny. The only difference is that the language and references change. I never sit there and think, ‘What do children find funny?’ I sit there and write about things I find funny. Maybe the real truth is that I haven’t grown up! Making a joke is a way of connecting people with one another. It’s how we break the ice when meeting a stranger for the first time. That’s what comedy does: it connects people to people. I like to think of my books as a collection of sketches, that link together through a narrative. The best sit coms and films work like this, The Life of Brian, for instance is just a series of brilliant sketches, as is Alan Partridge or The Thick of It, three of my many, many favourites. Let’s talk about your book choices. 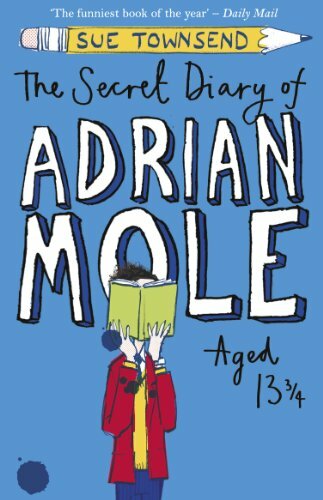 Your first is The Secret Diary of Adrian Mole by Sue Townsend. I loved this series as a tween and teen. I read them all religiously, laughing with tears of recognition and embarrassment streaming down my face. What do they mean to you? They were my gateway books as a dyslexic person—I had a huge sense of pride when I read this series. It’s so much easier to read something once you have read them already, especially if you’re a reluctant reader. Once I’d conquered these books, it made all other books seem less scary. That, along with the fact that I was a melancholic teenager from the midlands, meant that I’d found my kindred spirit. I love the gentle humour of it; I love the black comedy, too. It’s as if Alan Bennett had written a kids’ book. It will always have a special place in my heart. 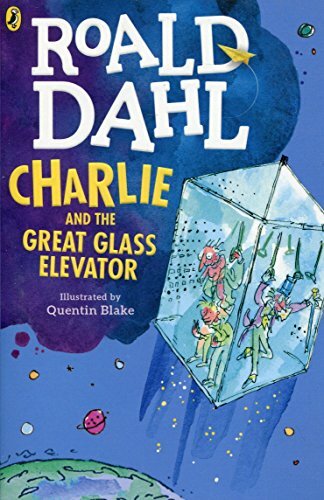 Next, you’ve chosen Charlie and the Great Glass Elevator by Roald Dahl. Dahl is known for his acerbic humour—what in particular do you find so amusing about this book? I remember reading Charlie and the Chocolate Factory and loving it, obviously—it was about sweets and magic adventures, two of my favourite things. But I always feel that the Great Glass Elevator is slightly the forgotten little brother. So, I feel like shining the spotlight on this book once in a while. I remember the joke that got me laughing. The chancellor or finance minister was in the elevator, trying to stack a load of books on his head. He was delighted when he finally cracked it, and announced to everyone ‘he’d finally managed to balance the budget.’ Although I didn’t really understand what that meant, I did get the joke, and thought it was very clever and wonderfully silly. It became a bit of a eureka moment for me in joke craftsmanship when I was a small child. 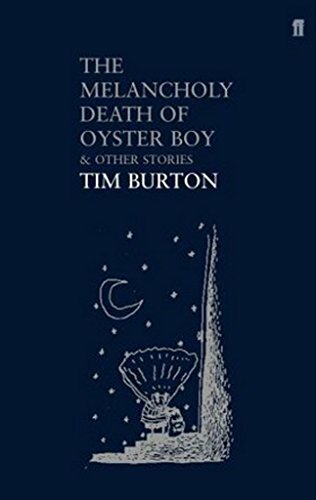 Your third choice, The Melancholy Death of Oyster Boy by Tim Burton, is a collection of darkly comic stories. While Roald Dahl has a cruel touch, this book is pure black humour. It reminds me of Edmund Gorey’s gallows style humour—the more unsettling the better! There’s a real knack to getting the balance right. It can easily fail. This book was the thing that gave me the courage to write. I was a scared writer, as much as I was a reader all those years ago. But at the age of 30, my head was full of half ideas and stories. If I could have written any book, I would have written this one. For me it was perfect, funny, brilliantly illustrated and full of great stories and ideas. Using rhyming poetry as a foundation allowed me a structure to work to when writing my own ideas. It gave me the confidence knowing that I had a road map for my words. It was like writing with stabilisers on. Poetry can be a story, a joke, an idea anything you want it to be, but this book allowed me to see it as a way into writing my own books. 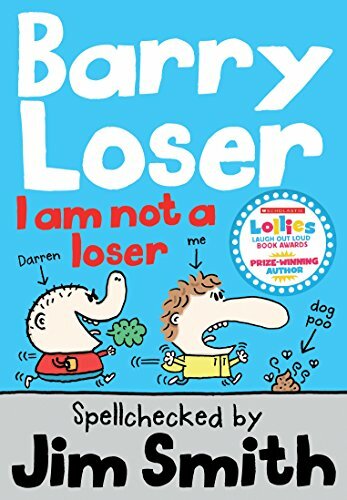 Your fourth choice is the Barry Loser series by Jim Smith. 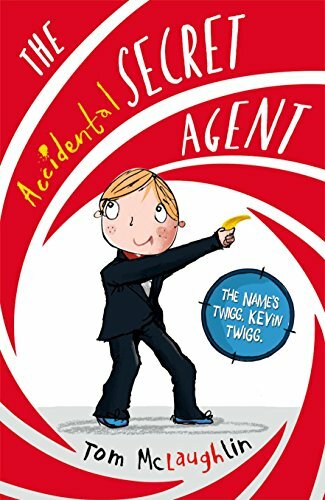 These books offer self-effacing humour for kids at its best. Tell me more about this series and what it means to you. These books got my kids reading and, equally importantly, got them drawing! They began as books I read to my boys, and became ones they could read by themselves. It gave them a world that they could identify with. They make kids laugh, draw, create and read, too—what more could you ask for? All too easily, I think, people can be snobbish about funny books. They’re seen as a lesser genre for some reason. This is nonsense. Rock on, Barry is what I say. 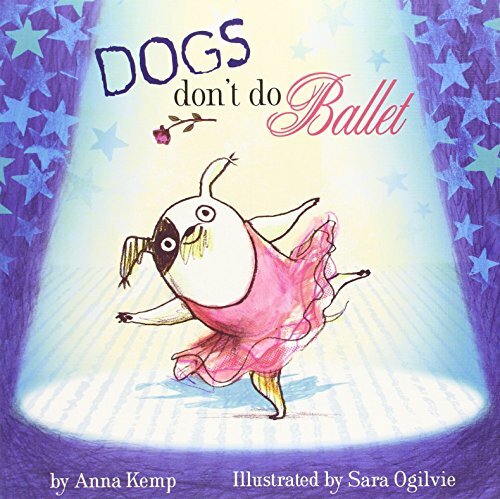 Your fifth choice is Dogs Don’t do Ballet by Anna Kemp. This is one of my household favourites: dead-pan humour with a big, big heart. Is this why you chose it? Yes, that’s exactly why I love it, too. The comic timing of the drawing is perfection. 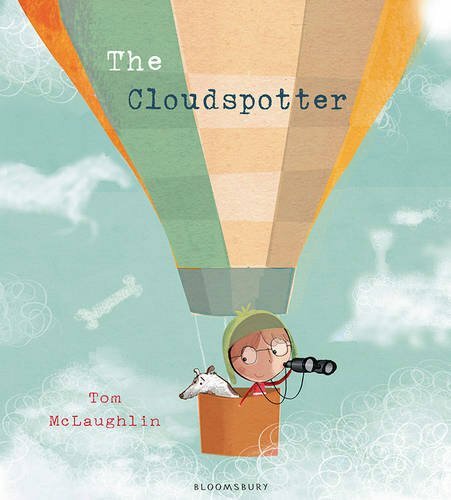 It’s illustrated from the viewpoint of the small dog and girl, which is a brilliant way of making the story more personal to those two (and people of their height!) It’s also a brilliant technical exercise in writing and drawing picture books. The language and the way it’s written is great. It has every opportunity to become silly—really over the top—but somehow keeps a lid on it. For this reason, it’s a bit of a yard-stick for me when working on my own books. Plus, my little one loves it. 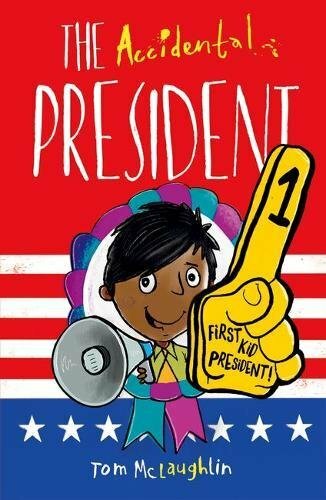 It’s a rare example of a book that works for both kids and grown-ups.